Jio's "Innings Ka Champion" contest is aimed at IPL 2017 fans. Reliance Jio is offering cricket fans a chance to win free tickets for the ongoing Indian Premier League or IPL 2017. In its "Innings Ka Champion" contest aimed at IPL 2017 fans, Jio - which announced its "Dhan Dhana Dhan" plans last week - is offering participants "exciting prizes after every innings", it said on Twitter. 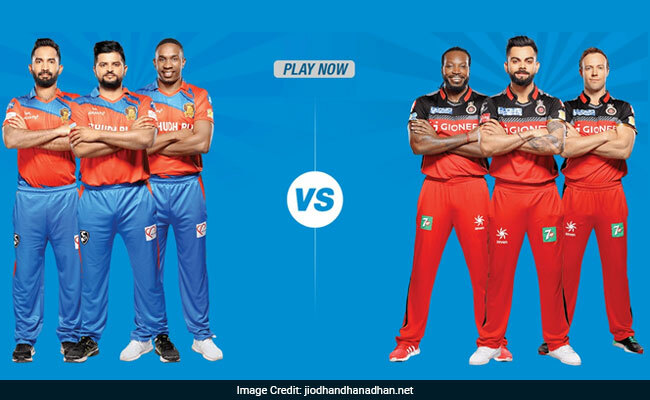 Other prizes being offered by Jio under the "Innings Ka Champion" scheme include team merchandise and a chance to meet cricketers playing the IPL 2017, according to the Jio Dhan Dhana Dhan website - jiodhandhanadhan.net. "20 seconds is all it takes to win big this IPL," it said. Meanwhile, in another scheme aimed at Indian Premier League 2017 followers, Jio - the telecom arm of billionaire Mukesh Ambani-led conglomerate Reliance Industries - is offering up to 168GB of 4G data to users of Vivo smartphones. To participate in the contest, Jio Dhan Dhana Dhan subscribers are required to answer five questions after each match to "win big", Jio said. What is Innings Ka Champion contest? Innings Ka Champion contest is a scheme by Reliance Jio held after every innings of an IPL 2017 match for a duration of 20 minutes. Participants are required to submit the answers within the stipulated time, as per the Jio Dhan Dhana Dhan website. The contest can be entered by those above 18 years of age using a Facebook account. They will be declared daily on the Jio Dhan Dhana Dhan website and a grand prize winner will be declared on completion of the IPL 2017 tournament, according to Jio. A chance "for a meet and greet with the players"
"You can increase your chances of winning the contest by sharing your score on social media and inviting your friends," Jio added on the website. Exciting contest, exciting prizes after every inning.